Groupe Country US de Virginie composé de Donna Stoneman, Ernest V. Stoneman, Jimmy Stoneman, Patsy Stoneman, Scotty Stoneman et Van Stoneman. 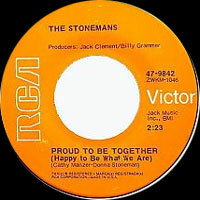 The Stoneman Family (or the Stonemans) ranked among country music's most famous family bands, and were closely associated with their legendary father, Ernest "Pop" Stoneman, who played with them for a number of years. 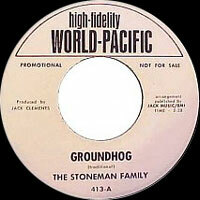 The core of the band was made up of six of Pop's 13 children: Patsy, Scotty, Donna, Jimmy, Roni, and Van. They were originally known as the Blue Grass Champs, and got their start after winning on Arthur Godfrey's Talent Scouts in the mid-'50s. They soon added members and gained a following in Washington, D.C. and the surrounding area. Eventually Pop joined them, and they added television appearances to their live performance schedule, eventually getting their own television show. 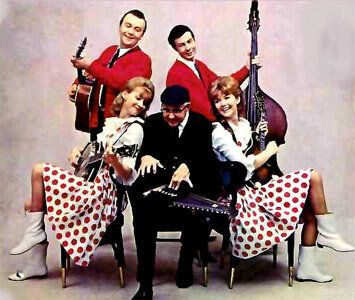 They debuted on the Grand Ole Opry in 1962 and throughout the decade they toured the country, playing regularly at the Black Poodle in Nashville. 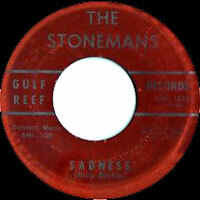 They also hosted a syndicated television show, shown on about 50 stations nationwide. 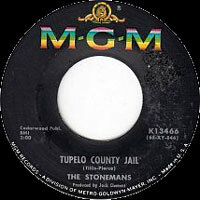 In 1966, they had their first country hit with "Tupelo Country Jail," which made it to the Top 40. 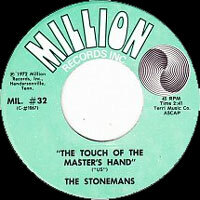 The following year, they made it past the Top 30 with "The Five Little Johnson Girls." 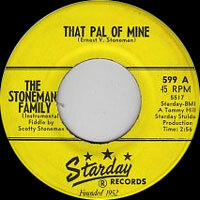 Following Pop Stoneman's death in 1968, Patsy Stoneman joined the band. 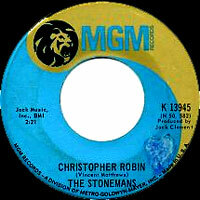 In 1968, they had their final chart hit with "Christopher Robin," which only reached the Top 50. They underwent several major personnel changes through the '70s and began recording less frequently, gradually easing into retirement.